Year–on–year inflation for June 2015 as measured by the Consumer Price Index (CPI) recorded 17.1 percent up from the 16.9 percent recorded in May 2015. The monthly change rate for June 2015 was 1.8 percent compared to one percent recorded in May 2015. 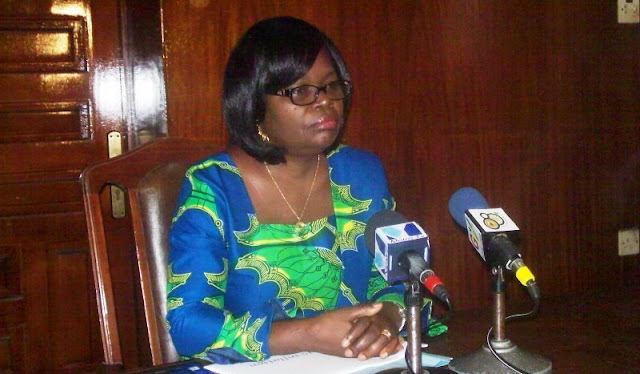 Government Statistician, Dr. Philomena Nyarko, addressing a press conference in Accra, said the non-food inflation recorded 23.6 percent compared to 23.4 percent in May 2015. “This is 0.2 percentage higher than what was recorded for May 2015. If you take the two main components of the inflation rate computation – food inflation and non-food inflation – we are saying is that the year-on-year non-food inflation rate was 23.6 percent compared with the 23.4 percent that was recorded for May 2015,” she said. Dr. Nyarko said the main price drivers for the non-food inflation rate were transport, housing, water, electricity, gas and other fuels, education and clothing and footwear. Transport recorded the highest rate of 25.5 percent followed by housing, water, electricity, gas and other fuels which recorded 24.8 percent, while education registered 24.6 percent and clothing and footwear 24.3 percent. Food inflation rate was 7.4 percent compared to 7.3 percent in May 2015. At the regional level, the Central Region recorded inflation of 19.5 percent, Ashanti Region, 18.2 percent, Volta Region, 17.6 percent while the Upper East Region had 17.4 percent.